Apocalypse Survivor Throwing Axe & Sheath | BUDK.com - Knives & Swords At The Lowest Prices! 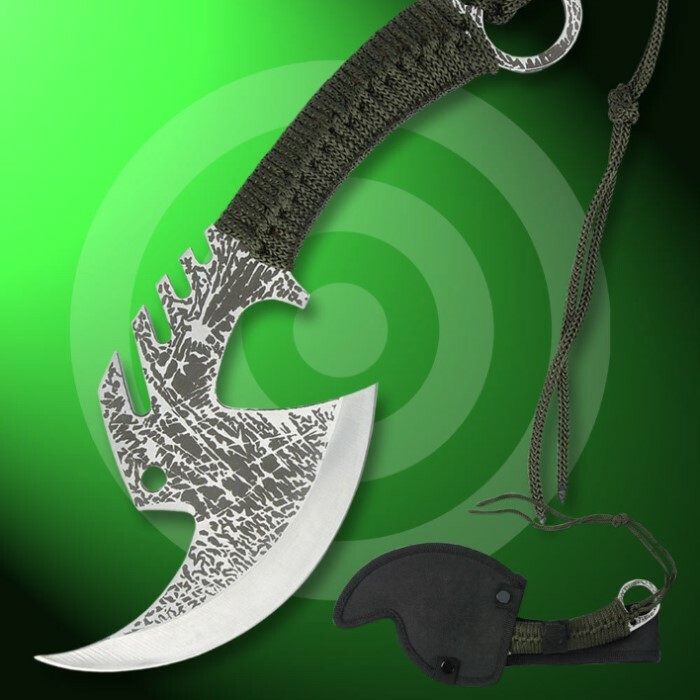 This heavy duty, Apocalypse Survivor throwing axe will surely take care of any zombie that comes your way. This little beast of a weopon will handle almost anything you can throw at it. I bought a twin set and will defiantly buy more. It's well worth the $13! Axe came VERY DULL! It's ok for $12.99 but I think it should be $9.99. Love it. I bought 2 a few weeks ago and they are awesome. They stick good when they stick. I would take the nylon cord off the handle and use it for something else, mine came off after about 4 throws. These look really wicked and are totally worth the price. Well its great! after so many throws though the paracord fell off. wiithout the paracord its big and uneven. i get it to stick every 5 out of 8 throws. with paracord this thing is amazing. i can still use it as an actual axe as well. very sharp and nice! The weight is good and it's sharp...good for chopping small limbs in trees when ur hunting! 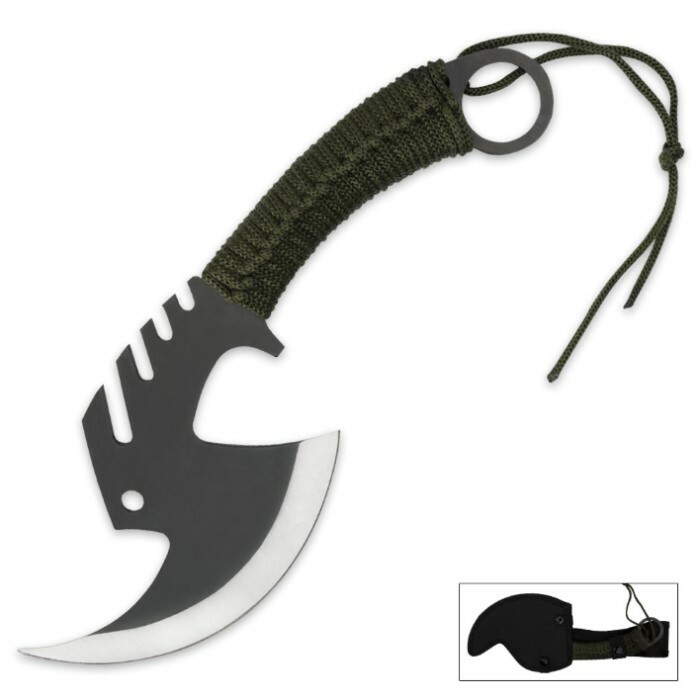 This throwing axe is one h**l of a weapon. A little dull when I opened it but a sharpener from BudK fixed that right up. Handle is good, string hasn't come off yet. The axe was smaller than I expected but is insanely lethal. Will definitely buy more. This throwing axe is bad**s and a'lot of fun too! \m/ Very sharp + sticks great! = kick-**s!! It's great for cutting pizza too! lol The cord is fine, no problems and it doesn't come off easy like some say :) The sheath works great too so far so good~ Thanks again BudK, for awesome bad**s items!